Nuffield Scholarships were introduced in England by British Industrialist and Philanthropist - Lord Nuffield. He initiated a travelling scholarship scheme for British and Empire farmers, in recognition of their contribution to feeding the nation through the War. One of the great challenges of the coming century will be meeting the rapidly increasing demand for food. This challenge is made greater by an increasingly quality and environmentally conscious world. This is occurring at a time when there has been an exodus of human capital from all sectors in agriculture throughout the Western World. Research and Development is in decline and there is a diminishing number of farmers. 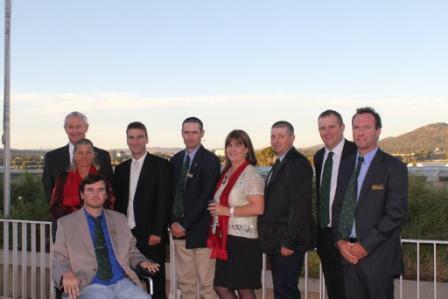 I became Nuffield Australia's 255th scholar in this their Jubilee year. I start my travels in March 2011. In my global focus program I will be travelling to destinations such as New Zealand, Brazil, Mexico, USA, Canada and Scotland before returning to Australia. I then have a further 10 weeks of individual travel to complete before my report is due on 25 September 2011. This will be made up of countries included in the global focus program as well as countries which are leaders in applied technologies within the beef industry. Along with studying innovation and technology within the beef industry, I will also be looking at ways to encourage injured producers and farmers to remain actively involved within their business. I intend to utilise my experience within the beef industry and combine it with the technology I witness to remain a productive member of our family business. After fulfilling my study obligations, I plan to return home to the family property 'Suplejack' in the Tanami Desert and hope to explore all possible advances in technology to maximise my ability within the field. The limitations of an office job are far too narrow for me. I hope that my new found knowledge can be applied to the lives of other injured farmers, to ensure they also remain productive members of their agricultural communities. 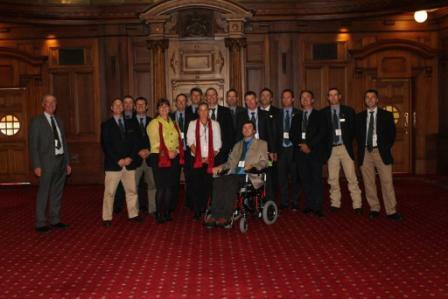 "2011 Scholars at Australia's Parliament House" "2011 Scholars at New Zealand's Parliament House"